I, along with anyone else out there who happens to be a “single parent,” did not plan this. It was not one of those things where you go into a closet and pick out your destiny – especially not when you’re in a marriage, let alone a relationship with someone. I am a single, divorced mother of a young boy. No one told me that a day would come when I would feel so unprepared. The importance of raising a child, a young boy, can be very detrimental for a woman to do on her own but it is not impossible. Yes – on Father’s Day, I celebrate it. Yes, I send text messages to those mothers that I know who are raising their child or children by themselves and I help share the empowerment in order to help them keep on, keeping on. 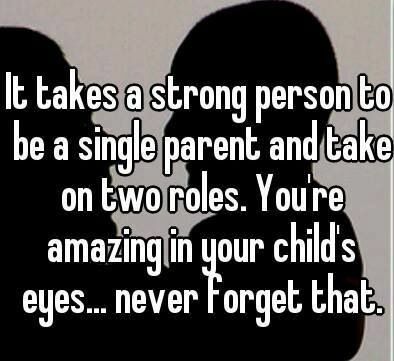 What a lot of people fail to realize when it comes to being a single parent is the fact that your world will never be the same. Oh, so you think you’re about to start dating huh? Yeaaaa..let’s try that later. Just because you are a parent does not mean that your life should be placed on hold in order for you to be considered someone with their parenting skills all lined up. That’s just utter BS. I know some of you out there who are in relationships with the other parent and you seem to go through epic failure over and over again. Think I’m lying? Check your timelines. Is it impossible to raise a young boy into a grown man who may turn out to be someone successful? I’m quite sure it is possible and I plan on continuing to steer my son into the right directions. It is more challenging however because they need someone who they can relate to and vice versa. Being able to identify with another male is very important in their growth and identification. My son will not be able to look at me and identify within himself, who he is completely. I am a woman. I am soft, nurturing, loving and emotional. I am here to let him know everything will be alright. But when it comes to the absent individual, who can he really relate to? So yes, single parents can still date but it becomes more of an elimination process because we need to make sure that the person who comes into their lives, will be someone positively influential and naturally loving – not the person who can’t stand kids and really doesn’t see yours as their own. This selection process isn’t always the easiest because as a woman, we follow our hearts at times more than our conscious minds resulting in a few bad apples. But the object is to learn from these poor choices and keep it to a minimum as possible. Am I stating that you introducing someone prematurely to Mr/Mrs. Right Now is okay? We’re human, folks. You have to realize though how your child will be affected by your choices in hopes of making better ones down the road. There are some parents out there who will neglect their children with grandparents and run the streets in a heartbeat. The ones who feel like they’re missing out on life because of this “set-back.” At the end of the day, no one can judge but God Himself, so if you know someone like this, instead of kicking them down, why don’t you extend your hand and help pull them up. Sometimes a single parent will experience a period in time when they will feel like there’s no answer to what it is that they are facing. I will admit, it is trying but my son didn’t ask to be here and as a mother, it is my duty to see him through any and everything he may face. We can only continue to pray for the answers when things seem to attack you one after another. I had to teach my son how to use the toilet when he was a young lad. I’m not equipped with the proper tools but just having common sense, you figure it out naturally. And if you still have problems, Google or look it up on YouTube! That’s how I taught my son how to tie for the first time. The next time you see a post in your news feed from a single parent and it makes no sense whatsoever, just give her that. Trust me, she’s going through it. If they’re complaining about how much they have to pay for bills or that it just seems like they never have any money, realize the struggle is real. For me, its’ a treat to get my nails done once a month. It’s not an easy job working twice as hard but just understand that once your child(ren) gets older, they will appreciate you that much more for sticking it out with them and raising them to the best of your ability. And here’s a newsflash for all of those parents out there who believe their child will come looking for them when they get older in order to form this “relationship” they missed out on their entire life, get a clue and if you can’t go buy one. You will have missed out on so much of their lives and the fact that you will not have been able to share those experiences, will be the biggest regret in life itself.